Wright has a full range of striking tools for various applications. Our selection includes Nupla® dead blow, soft-face, brass, ball pein and claw hammers; cross pein, short handle and double-face sledge hammers; and rubber mallets. Wood handled hammers include ball pein, cross pein, engineer and sledge. We also offer a wide selection of Mayhew™ punches and chisels, sold individually and in sets. 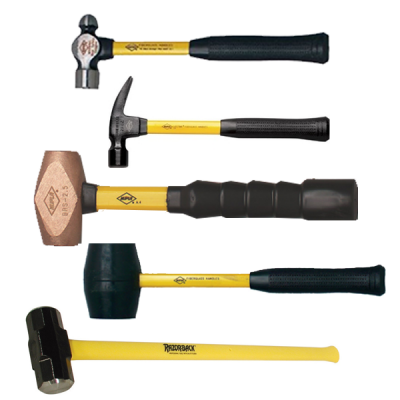 Additionally, we carry Council Tool® sledge hammers and drilling hammers.